Imagine. Installation and concert (2012). Curated and presented by Jessica Berlanga Taylor | Fundacion Alumno47. Born 1972. Lives and works in Mexico City. Pedro Reyes works through an expanded concept of sculpture that examines the cognitive contradictions of modern life and proposes solutions that are simultaneously simple and complex, metaphorical and functional. His work addresses interactions between physi­cal and social space, tangibly manifesting an invisible interpersonal geometry through calls to political and economic participation. He is more interested in re-imagining institu­tions than in critiquing them. Reyes uses art as a way to encourage collective and indi­vidual action, and to establish an exchange that might be applicable to the practice of daily life in the face of human, political, and ecological crises. The VENICE INTERNATIONAL PERFORMANCE ART WEEK 2014 presents the interactive sculpture installation Imagine. For Proyecto Líquido. 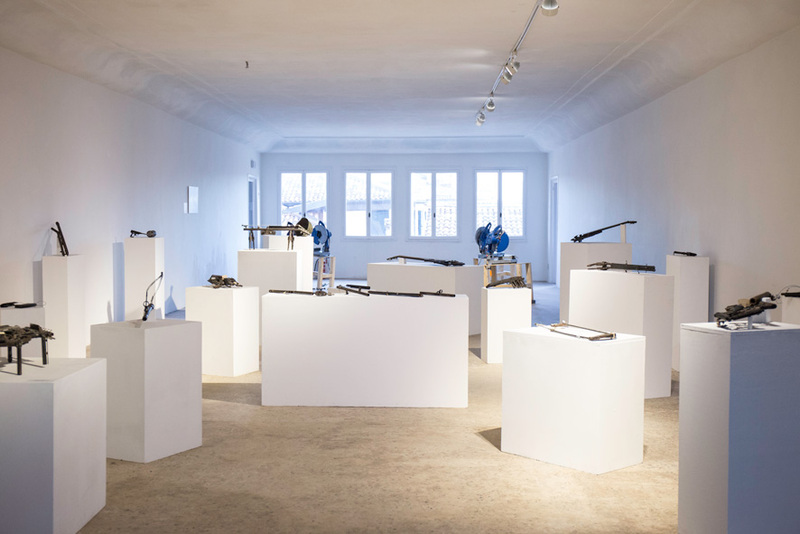 Miedo in Mexico City, curated by Jessica Berlanga Taylor for Fundación Alumnos47, seven musicians and two metalworkers transformed a half-ton of weapons into more than 40 musical instruments that also function as sculptural pieces. 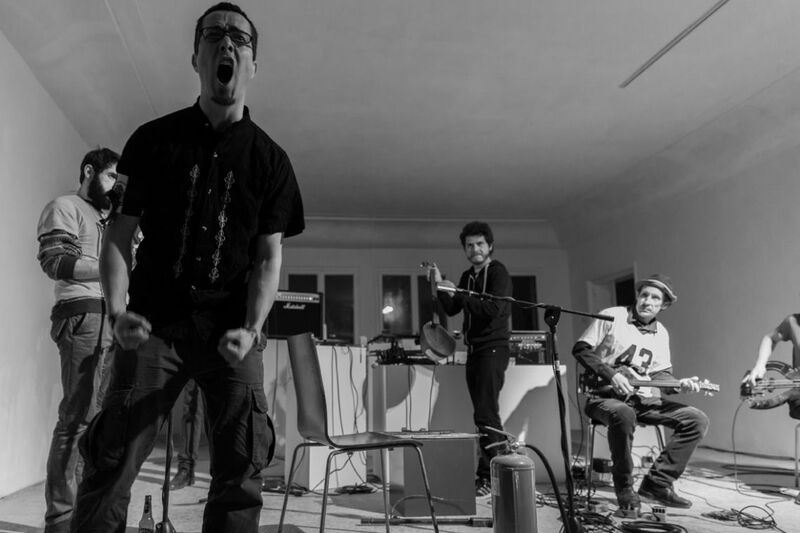 On June 19, 2012, the musicians played an outdoor concert; playing a range of versions of Imagine by John Lennon and songs by Rage Against the Machine, in addition to other improvised pieces, they offered a series of implicit reflections on the importance of coming together and gathering. These actions reinforced the social and political dimensions of the work, which can only function if its use is honest and free of manipulation. Since then, Imagine has travelled to Melbourne, Australia; the biennials in Korea and Istanbul; Lisson Gallery, London and The University of South Florida, Tampa, Florida; activated by professional musicians, students and anyone interested in activating the piece. In a special closing concert, Omar Cordova, Adrian Lopez, Alonso Lopez, Alberto Collodel, Mauro Sambo, Loris Tagliapietra, Aldo Aliprandi and Giorgio de Battisti will play these instruments again.